Christmas is just around the corner, and it’s time to prepare by baking LOTS of cookies :). You are probably reading this thinking M&M cookies? This recipe is well known! It is…but there’s a twist here. Instead of using butter, this recipe utilizes extra light olive oil. Yes, I know what you are thinking…YUCK. But, you are about to be pleasantly surprised as you don’t even taste it! The cookies are AMAZING, and taste just like the original. They are golden and crispy on the outside, and soft and chewy on the inside. Furthermore, these cookies are substantially healthier when made with extra light olive oil instead of butter. I don’t know about you, but I tend to eat a lot of Christmas cookies, so I need them to be healthy, without compromising on the taste. You can also make these completely dairy-free by using dairy-free m&ms. Enjoy! Yes! I have frozen m&m cookies on many occasions, and they freeze very well. I freeze them in a labeled ziploc freezer bag. How long do baked cookies last? 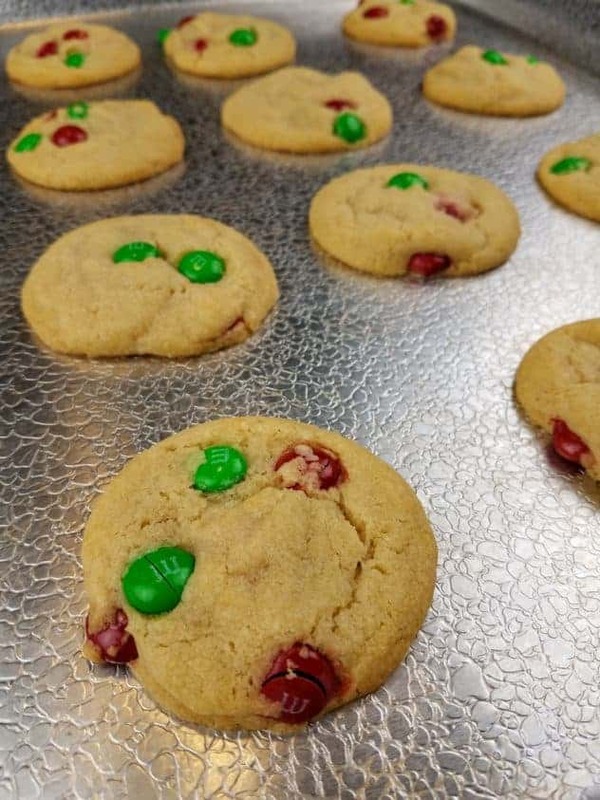 Baked m&m cookies are best if consumed within 7 days. Anything longer than that, I will freeze them. How do you make perfect M&M cookies? The perfect m&m cookie will depend on your taste preferences. Me personally, I like them to be crispy at the edges, and soft in the center. If you like yours firmer, you can bake them for longer. If you prefer them softer, you can take them out of the oven sooner. The best way to keep m&m cookies fresh, is to store them in an airtight container with a piece of bread in there for moisture control. 1. Preheat oven to 350F. In a large bowl, cream olive oil and both sugars until well blended. 2. Add the egg, vanilla extract, baking soda, salt, and mix to combine. 3. Add the flour to the mixture in two additions, mixing thoroughly after each. 4. Fold in m&m’s. In the dough here, I only used 1 cup of M&M’s which I thought was plenty :). 5. Drop dough by rounded tablespoons onto an ungreased tray. 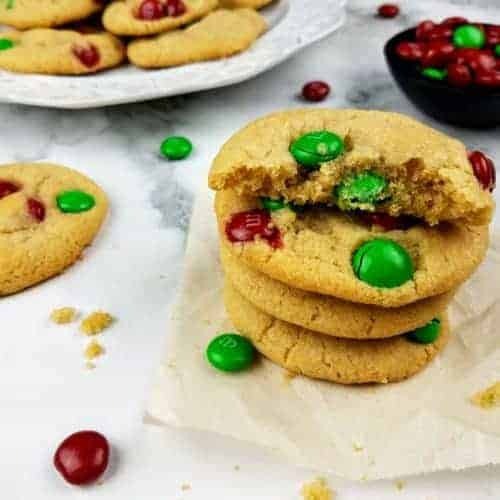 A healthy twist on classic M&M cookies, this version replaces the butter with extra light olive oil. In a large bowl, cream olive oil and both sugars until well blended. Add the egg, vanilla extract, baking soda, salt, and mix to combine. Drop dough by rounded tablespoons onto an ungreased tray. This dough is going to be greasier than the one made with butter. I also found that between batches, the oil would start to separate. I would advise giving the dough a good stir before forming your cookies and baking them in the oven. As for the olive oil, be sure to use extra light because it has a neutral taste and neutral smell. It even says on the label that it can be used for baking. If you use regular olive oil, you might taste it. Yes yes yes! I’m thinking about doing some baking on Boxing Day if I invite family over. What a treat! I’ve never baked cookies before. I’m so afraid of them. Haha! 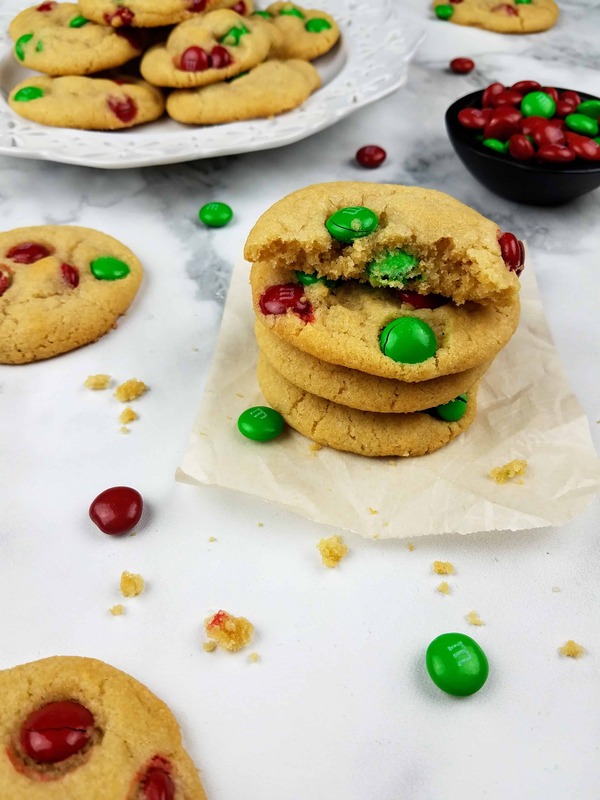 M&M cookies are a great entry level cookie, along with just regular chocolate chip cookies :). I actually think they were the first cookie I ever made, when I started baking over a decade ago. 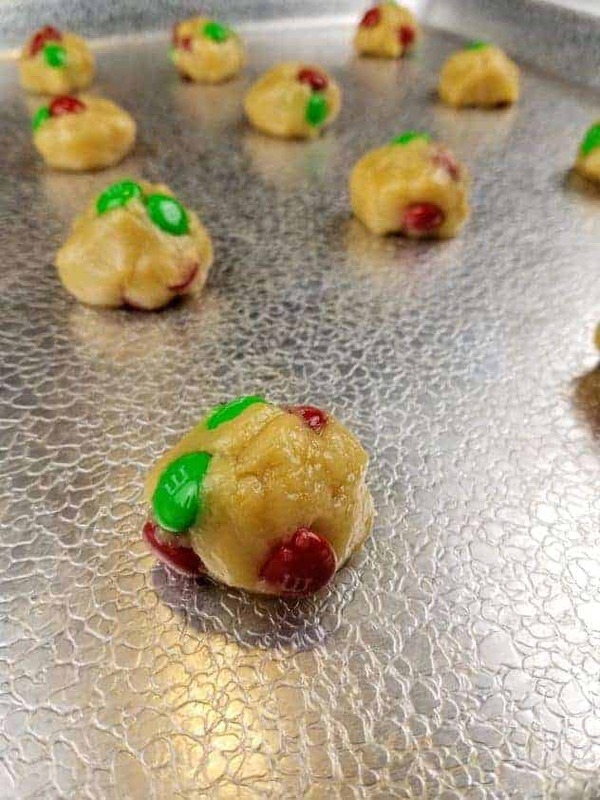 What’s nice about this recipe, is that because it uses extra light olive oil, the cookies will always spread out nicely. I never really got that result with butter, no matter what form (e.g., softened, melted) it was in. My only other tip, since you are new to baking cookies, is to really be careful about how you measure your flour. If you have a small scale, I would actually recommend weighing it out. There are multiple charts online for how much different brands of all-purpose flour should weigh. The general rule of thumb though, is 4.25 oz per 1 cup of flour. 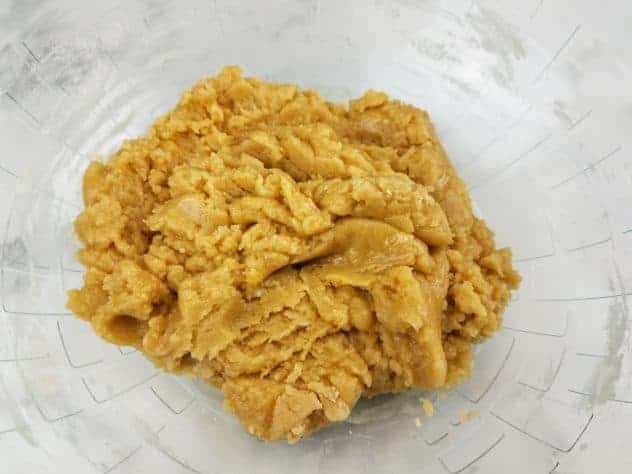 If you measure it by volume, I would recommend using a spoon or a scoop and lightly scoop the flour into a measuring cup until it is overfilling, then use the dull side of a butter knife and level it. It’s easiest to do this by putting the measuring cup down on a plate to catch the excess flour when you go to level it. This ensures that you don’t end up with too much flour in your cookie, otherwise they’ll turn out cakey. Great recipe. I love that you substitute butter with olive oil, making it a healthier option. The green and red mnmns are super cute! Definitely excited to try this. The cookies look really great, do you think that I can change the flour with gluten free one? Will I have the same result or do I have to add something else? 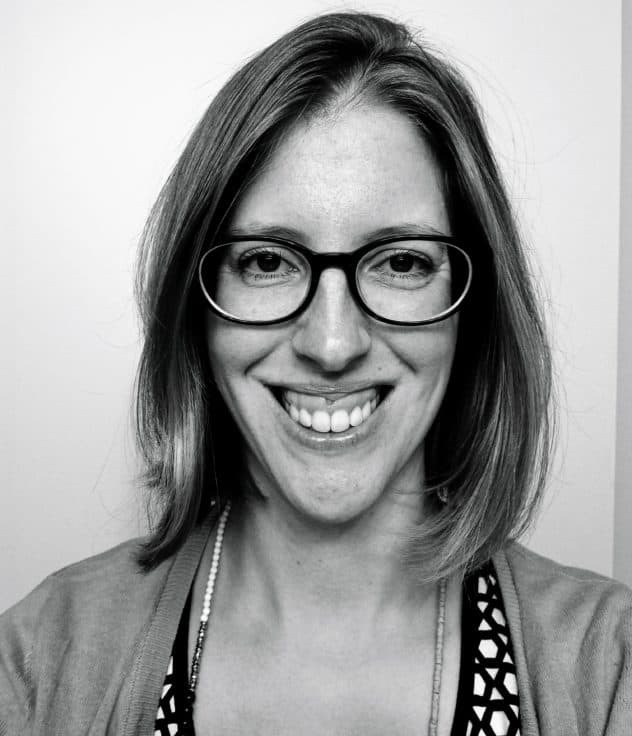 Hi Luiza! I am actually not sure on how to make that substitution because I have never done it. I would do a google search and see what you come up with. 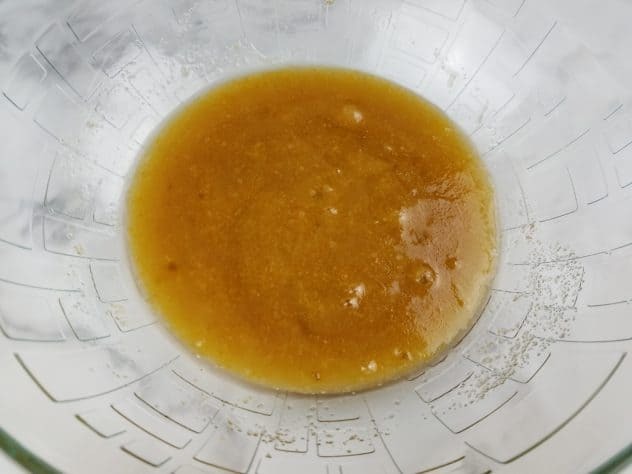 From what I remember from the Facebook groups that I am in, it’s generally not as simple as a 1:1 substitution, and you have to add something else in (I think Xanthan gum). Although, I think I remember seeing a gluten free flour by Bob’s Red Mill that you can substitute 1:1 because it has the additional things in it that you would need: https://www.bobsredmill.com/gluten-free-1-to-1-baking-flour.html. I would want to try baking soon! For the mean time, we can only do those no-baked recipes and bookmarking must try recipes like this one. M&M’s are a sure hit to kids, so this one’s definitely recommendable. Oh man these are some delicious looking cookies and M&M cookies are my absolute favorite. I am definitely going to pin this post and try out your delicious looking recipe! Thanks for sharing… and the holidays will be here before we know it! Oh these look so delicious. I love baking but we don’t get the red and green M&M’s so I would have to get a few bags and pick them out hahah! But this is such an easy recipe, my 5 year old would love it. Oh wow these look SO good! Big fans of cookies here and M&M’s too, together they sound like a dream come true! I’m going to make these for sure! I am so happy you posted a lighter and healthier version of a classic cookie recipe. I am eager to try these and attempt to make them with whole wheat flour. These look so festive and delicious. What a yummy recipe. We love cookies in our house. We eat a lot of them, just never made any by myself from scratch. This looks good. I’ll save this as I’m clueless about anything to do with flour. I might make a few changes like adding shredded coconut and raisins and/or choc chips. I like the olive oil substitute and will do so. As much as I try to avoid temptations like these, my sweet tooth can’t help but submit to such recipes. 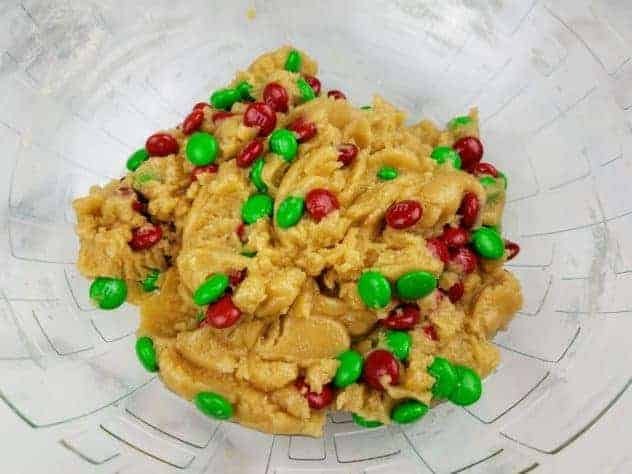 M & M’s were one thing I used to look forward to receiving from my aunt in Philadelphia and here you’ve incorporated them into some great looking cookies. Will definitely try this at home.